Made on a whim to learn how to code with the visual novel engine Ren'Py, a new game was born. Though it's something less glamorous than the creators would like to admit. 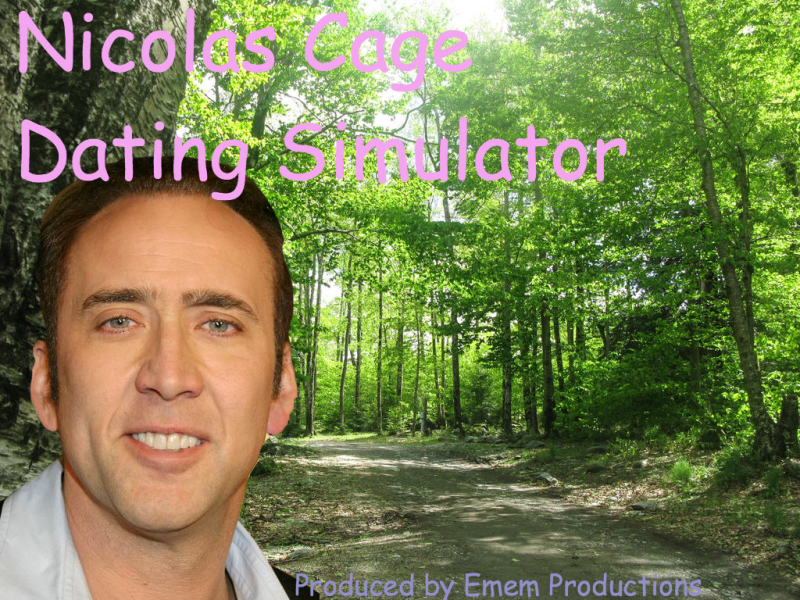 Introducing Nicolas Cage Dating Simulator, where you can now be with the one you love, but there is another secret dateable character lurking in the game, will you go with him or stay with Nic? 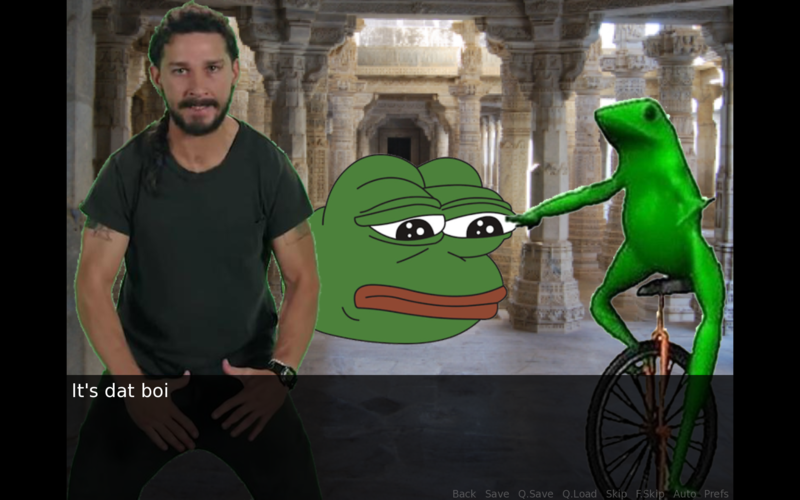 Truly beautiful, I shared this with all my friends. This game was everything I wanted it to be, and more. I burst out laughing and knew I was going to play something hilarious the second Cage had a 17 pack. All of the references to Cage's filmography was a nice touch too. You clearly know your stuff. Thank you for making one of the weirder games I've ever played! The person who did this is a saint. This means so much to me oh my god, thank you so much!!! I'm glad you enjoyed it!!! Oh wow!!! I freaked out when I saw this, I thought the game was dead, thank you so much for including my game!!! You're very welcome and thank you for making it. 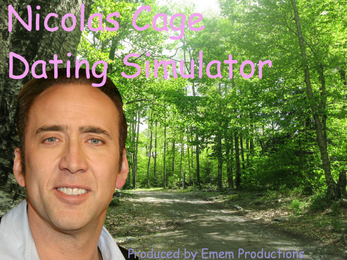 If I had known that Nicolas Cage Dating Simulator was dying, I would of said more. I just thought this game is best if people experience it for themselves and I was worried about spoiling the game for people since its short. I hope more people play. 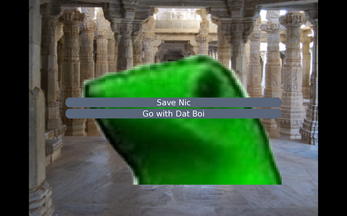 I know that I sure enjoyed playing it. Your game was both entertaining and funny despite the shortness.